More and more couples are choosing to travel abroad to tie the knot, swapping the likes of Birmingham, London, and Leicester for the to-die-for beaches and scenery of Jamaica, Barbados or the Bahamas. If you are considering a foreign beach holiday, there are a number of important factors to bear in mind. So before you pack up your flip-flops and beach ball, make sure you read our key tips! Even if your guests have followed the dress code and dressed casually for the occasion, they still might not want to sit on the sand. Check whether chairs are provided and the likelihood of there being an aisle for you to walk down. Perhaps the venue could provide some sort of altar or archway to act as the ceremony’s focal point? Find out whether there are any restrictions regarding what you can do on the beach. Will your guests be permitted to throw confetti? Can you have a drinks reception there between the ceremony and your wedding meal? Check out the exact location of the beach and find out if it is in a sheltered cove or whether it is fully exposed to the ocean. Ideally you want somewhere with fairly calm waters rather than a location with strong winds and high waves. Your venue’s representatives should know about the tides, and will arrange the timing of your ceremony to avoid you and your guests floating away mid-way through the vows, but it can never be a bad thing to check what time the tide starts to come in, in case proceedings last longer than you were expecting. Privacy is another factor to consider and you will want to know what surrounds your beach wedding location. While the beach might look gorgeous in the brochure photos, if there is a rowdy bar nearby – or even worse a nudist beach – your ceremony might not be as tranquil as you had planned. Are there facilities at hand? 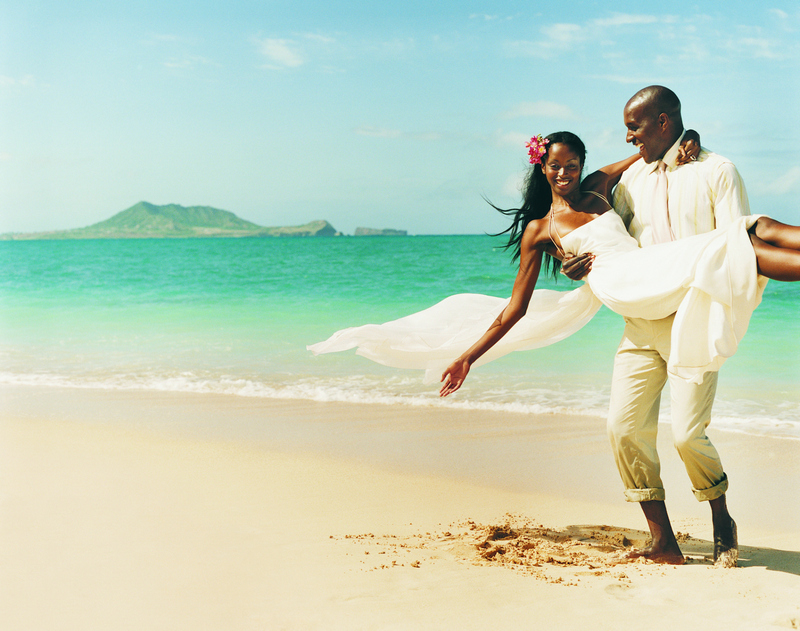 Hopefully your beach wedding venues will have direct access to the beach. If, however, the venue is some distance from the sand but runs a shuttle to the beach, check the size of the vehicle is and how long the journey takes. If a single minibus has to transport all your guests to and fro it could be a long process. If the beach is some distance from the actual venue, check what facilities are provided on the beach. Your invitees won’t forgive you if they are desperate to go to the toilet throughout the whole ceremony. Unless you’re having a beach barbeque or a picnic a wedding breakfast on the beach is going to be quite difficult to arrange, but if you really want to eat on the sand you should look into having a caterer who specialises in beach wedding receptions. If you want to have the ceremony on the beach but your reception inside be sure to find a venue that has a great view of the ocean; an ocean view terrace would be perfect. 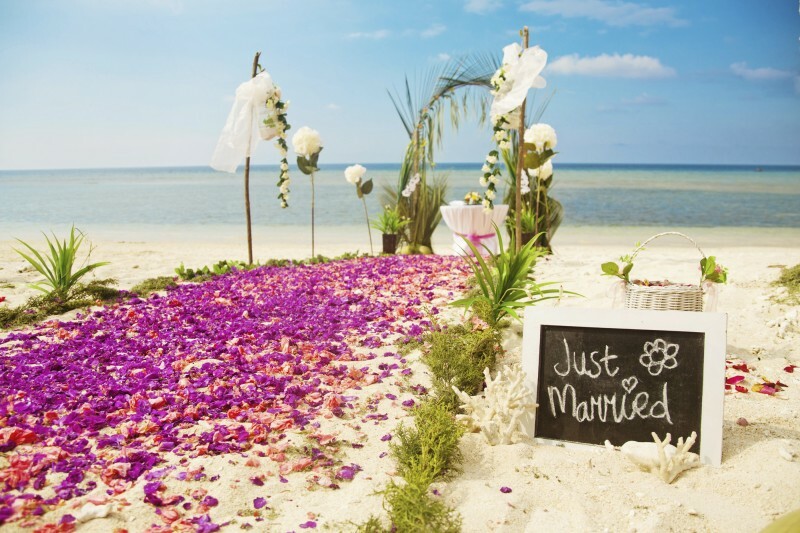 If you’re planning a beach wedding, your guests may choose to make a bit of a holiday out of it. Swot up on nearby accommodation as well as information on any beach related activities and water sports and you can include all this in your invitations.